Ask Joel Currier, co-owner of Currier Forest Products, about the “sustainability” of his forestry practices, and he will give you a very honest and hard-working answer. For the past six generations, the Currier family has been sustainably operating agricultural enterprises in Danville, Vermont. 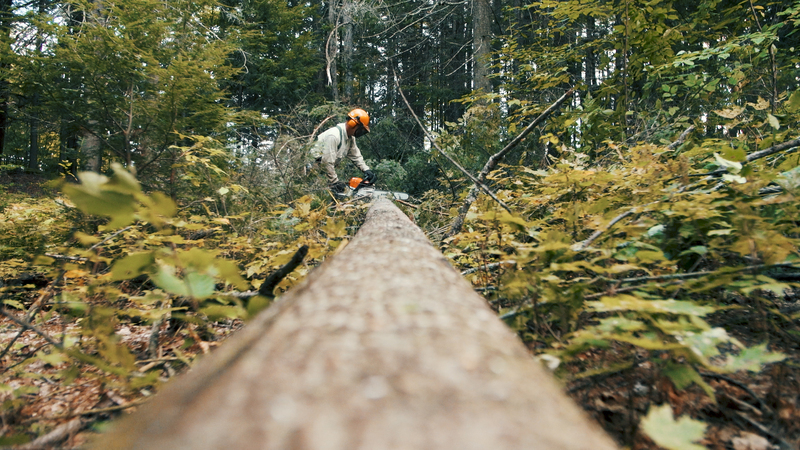 Managing over 500 acres of pristine forests and farmland, Currier Forest Products approaches the task of a “sustainable” business with as much seriousness as pleasure. They are serious about ensuring that these forests, meadows and working landscapes are preserved for their children, grandchildren, and beyond. But they are equally pleased with the notion that they can share the bounty of these lands with all who are fortunate to enjoy them. Joel’s grandfather and father operated a typical Vermont 50-cow farm until the 1950’s when they saw that this type of operation was no longer a viable business. Like many farms at the time, they turned to harvesting hay, raising beef cattle, boarding heifers, and producing maple syrup. Other than managing the sugar maple stands, the forest land remained intact and essentially untouched. When Joel inherited the family farm and its land as a young adult, he focused on managing the woodlands. He had an intense interest in being a caretaker for the forests and enjoyed working with all kinds of wood. His goal has been to keep these forests intact and improve them for the next generations. Both the forest management and the sawmill in Danville are FSC certified CoC (Chain of Command). Essentially this means that the lumber, timbers and boards produced from these well-managed forests meet the highest standard of approval for ensuring a “sustainable” forest product. To achieve this standard, they work with a consulting firm, Redstart Consulting, which maintains an approved forest management practice consisting of both short and long-term plans for the forests. An example of the different approach taken by Currier Forest Products is that they do not drag or skid logs through the woods but rather build roads through the forest for rolling the fallen trees out on trailers. This greatly minimizes the erosion within the forest. Similar to the approach of local food production, Currier Forest Products hopes to fill the niche of consumers who want to make a difference with their purchasing power. This company wants to ensure that all customers have customized high-quality service. Whether you want to order one tree or a whole house of sustainable building materials, your order is treated with as much care as the trees in their forest. Your order is fully customized with hand-sawn harvesting, short-run milling, custom kiln-drying and personal delivery. This is not just any type of wood, this is a new “old-fashioned” approach to sustainability. 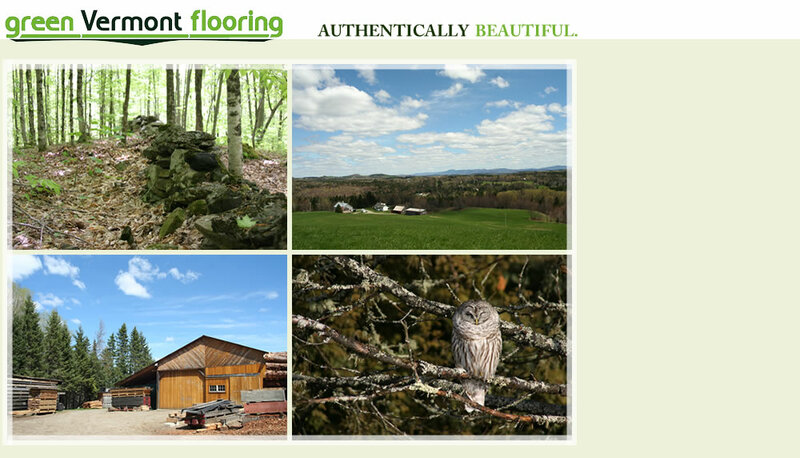 This is a green Vermont flooring product that is Authentically Beautiful.